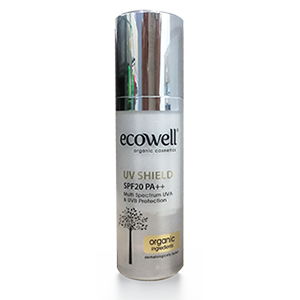 Ecowell UV Shield contains a blend of organic ingredients to protect your skin from sun damage and keep your skin healthy. 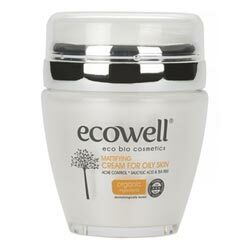 Organic Shea Butter, Organic Aloe Vera, Organic Essential Orange Oil, Glycerin and Panthenol intensively moisturize, heal and soothe skin. Zinc Oxide is mineral-based and provides a protective barrier against the harmful effects of the sun by deflecting the sun’s rays. 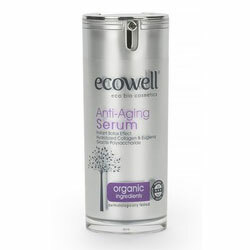 At SPF20 PA++, its organic blend is also gentle enough for children’s skin. This quadruple-effect, fast-absorbing formulation is lightweight, provides the best in advanced sun protection and leaves skin soft and smooth. Can be worn under makeup for daily use. How to Use: Apply before going out in the sun. 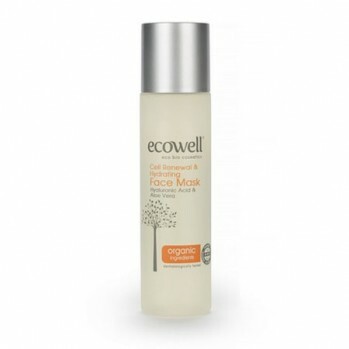 Reapply after heavy perspiration or swimming, immediately after towel drying.